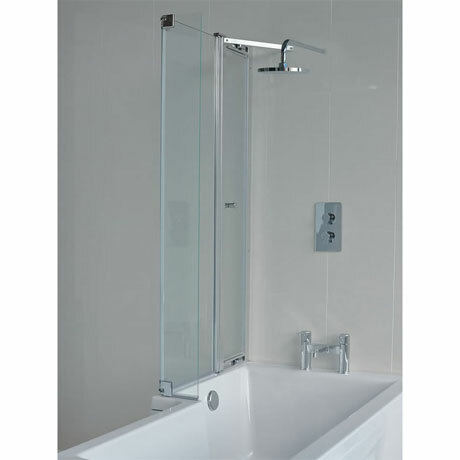 A contemporary styled bathscreen designed to be used with the Britton EcoSquare bath. The access panel is hinged on the wall side to allow you to open it to turn on your taps without getting wet and also makes cleaning easier. Manufactured from 6mm safety glass with 3M Easy Clean Coating which resists stains and makes lime deposits easier to remove.